Harvest View Stables is convenient to Elizabethtown, Hershey, Hummelstown, Lancaster, Lebanon and Palmyra. 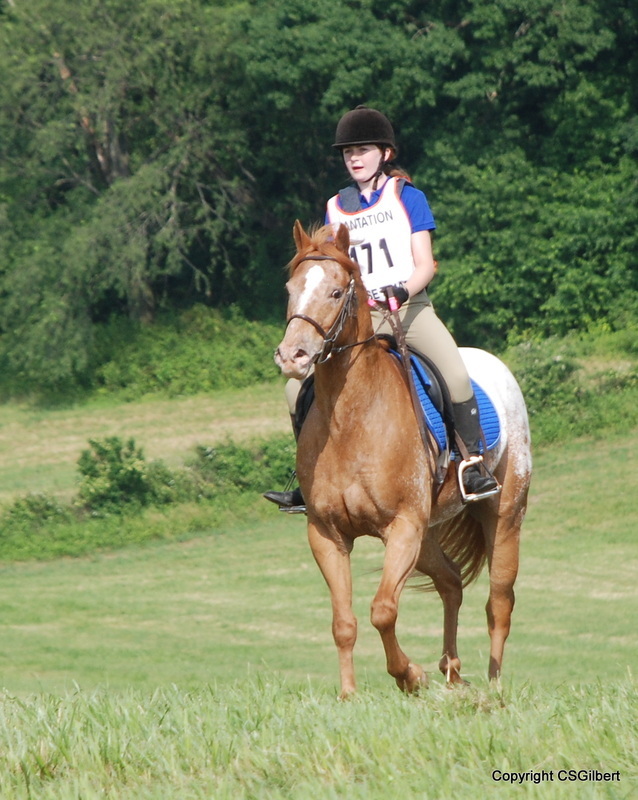 Erin and Crumpet at the Plantation Starter Trials. "Monday is my favorite day of the week because that's the day I ride. Under Cindy's instruction, I have become the rider I never thought I could be. Now I believe in myself. I have been to places I thought I'd never go. I feel ready for the road ahead even if I am scared. Miss Cindy believes in me, I know I can do it. - Erin K.
Exit for Route 72 South. Right on Cider Press Road. Take first right toward Lawn. Farm is one mile ahead on left. Take Route 283 East toward Lancaster. Exit at Toll House Road. Turn left toward Route 341. At stop sign, turn right on 341. Continue straight through stop signs until you reach a T in Lawn. Take immediate left at church onto Main Street. Continue up Main St., which becomes Lawn Hill Road. Farm is approximately one mile ahead on right. Route 72 South past turnpike. Take first left toward Lawn (Sunnyburn Road). Take first right onto Lawn Road. Take Elizabethtown Road past high school. Left on Lawn Hill Road. Farm is ¼ mile ahead on left. Route 30E to Columbia Exit. Right on Route 743 toward Elizabethtown. Left at traffic light in Elizabethtown. High Street becomes Elizabethtown Road. Farm is just ahead on the left. Route 117 to Route 241 toward Colebrook. Right on 241 toward Lawn. Farm is one mile ahead on right. Colebrook Street becomes Old Line Road. Continue on Colebrook Road through Mastersonville. Take first right turn toward Lawn. Turn right at light onto Esbenshade Road. Continue straight through stop sign. Continue straight through stop sign; road becomes North Colebrook Road. Do not turn--continue straight to T.
Right at T onto 241 (Mt. Gretna Road). Immediate left at church onto Main Street. Bear right onto Lawn Hill Road.